Mr. Vac Is Your Carpet Cleaning & Air Duct Cleaning Expert in Colorado! Mr. Vac offers 24-Hour emergency flood remediation and restoration services. We are on call anytime to help you make your flooded house like new again. Check the services we have on offer, read through client testimonials and reviews and then when you’re ready, Get a free online Quote. Mr. Vac Cleaning and Restoration is proud of our A rating with the Better Business Bureau and pride ourselves on prompt, professional service. We are a certified firm of the Institute of inspection, cleaning and restoration certification in the National Air Duct Cleaning Association. We also follow EPA guidelines and procedures. Mr. Vac has been Western Colorado’s Leader in Flood/Fire Restoration. We also provide the best carpet cleaning in Grand Junction, as well as carpet cleaning in Roaring Fork Valley and many other locations. along with Duct Cleaning and Mold Remediation. 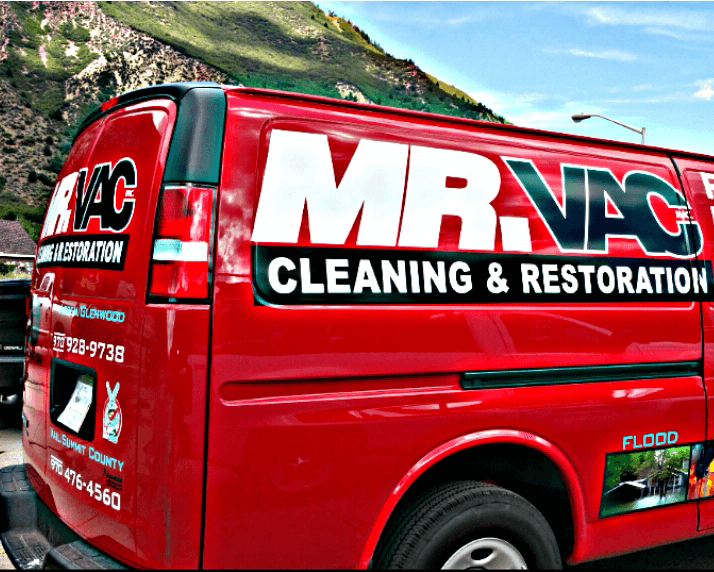 Since 2002, Mr. Vac has been making the Western Slope a cleaner place. Our Industry Certified Technicians are on call to help with all of your restoration and cleaning needs. Mr. Vac Cleaning and Restoration offers services in Glenwood Springs, Carbondale, Basalt, Aspen, New Castle, Vail, Eagle, Redstone, Gypsum, Grand Junction and most of the Colorado Western Slope. Don’t let your carpets get ruined by dirt and grime! Call Mr Vac and schedule an appointment to get your carpets cleaned. Mr. Vac has proper equipment and extensive training to clean any size air handling system in Colorado! Mr. Vac is proud to offer professional dryer vent cleaning services to western Colorado. Mr. Vac’s hood cleaning service technicians in Colorado are fully insured, bonded, trained and experienced. Let us make your furniture look like new again! We will get your boiler clean and running like new in no time. At Mr. Vac, our punctual and professional techs will remove the insulation from your home.